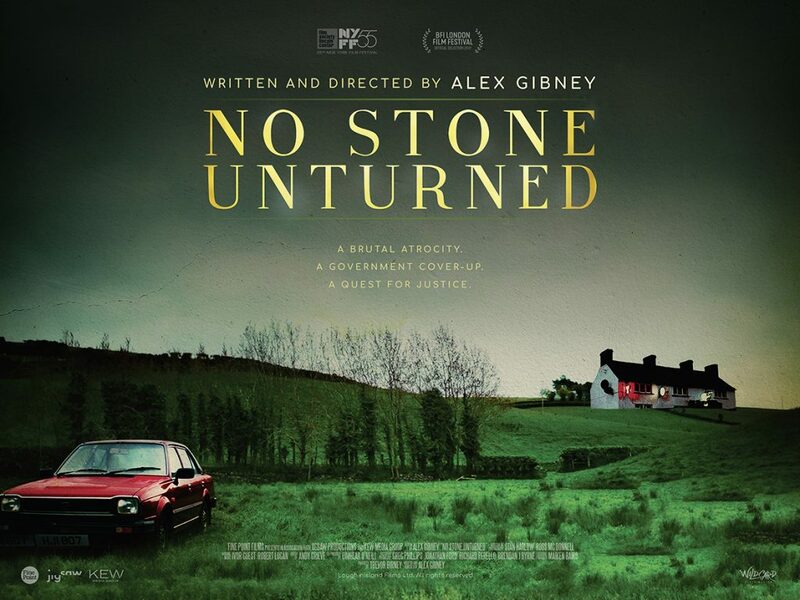 We handled publicity for the digital release of documentary No Stone Unturned from Academy Award-Winning director Alex Gibney. Ireland’s victory over Italy at the World Cup in New Jersey in 1994 remains a source of Irish pride. But it is haunted by memories of a massacre. On the evening of June 18th, 1994, in a pub in the small village of Loughinisland in Northern Ireland, six men watching the World Cup game were shot and killed by two balaclava-wearing men, and five others were injured. Remarkably, no one was ever charged for the crime. For more than twenty years the victims’ families have searched for answers. Now, at last, they have found them, but what they learn turns a murder mystery into bigger inquiry relevant for us all: what happens when governments cover up the truth? Campaign highlights include media placements with Deadline, IndieWire, The Boston Globe, Daily Telegraph, The Glass Magazine, The Times of London, Flickering Myth and Broadway World.